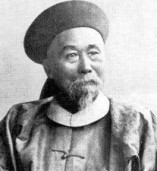 A soldier turned politician, Li Hung Chang was the virtual head of government in China during Emperor Kuang Hsu's infancy, and was certainly the most prominent Chinese figure to Western eyes. He strived to introduce Western ideas to China, and it was while on a diplomatic visit to America in 1896 (having previously attended the coronation of Tsar Nikolas II) that he encountered and found himself a 'star' in moving pictures. Docking in New York on 28 August 1896, his journey to the Waldorf was filmed by W.K-L. Dickson for Biograph and released as Li Hung Chang - Fourth Avenue and Broadway. Edison also filmed his arrival. The following day he met President Grover Cleveland, Dickson again filming the journey there as Li Hung Chang 5th Ave and 55th Street. The next day he visited Grant's tomb and laid a wreath, once again filmed by Dickson. Later he was shown a Mutoscope record of one of Dickson's films. He was delighted with the results and Harry Marvin astutely promised him one of the machines. 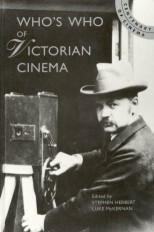 Li returned to China, and Biograph followed after, Fred Ackerman filming in the country during the Boxer rebellion and taking two further films of Li; one showing him being presented with the Mutoscope in Beijing, the other, in a fine early example of cinematic reflexivity, showing Li viewing himself through the same Mutoscope. An adroit and highly successful politician, Li died soon after the humilation of the Boxer rebellion.